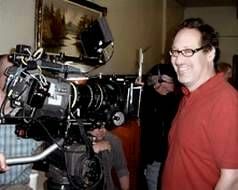 We’re delighted to have cinematographer Tom Burstyn attached as our DOP. Tom has more than 30 years experience, from his beginnings in his native Canada and including a stint in Hollywood. He eventually washed up in New Zealand as an intentional move to begin a new lifestyle. Tom comes into the project as much more than just a DOP. He has both a commitment to the story and a philosophy of how to make a great film on limited resources. He will come onto the core production and creative team, and bring his vast experience and passion to the venture. It’s a great honour to have him on the team. Currently in Vancouver, where the film he both directed and shot is opening in the festival, Tom has a commitment to the art of cinema. The film “This Way of Life” has been singled out as one of the must-see screenings in the festival, after sold-out screenings in New Zealand. It is a beautiful and compelling story, one which I can’t recommend highly enough.